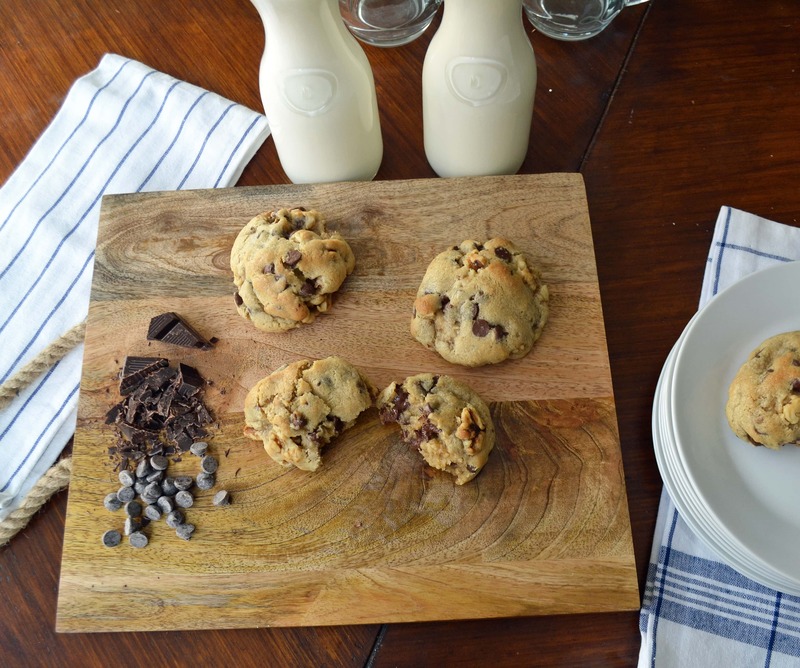 The BEST Levain Bakery Chocolate Chip Copycat Cookie Recipe. In a large mixing bowl, cream together cold cubed butter, brown sugar, and sugar for 4 minutes or until creamy. Add eggs, one at a time, mixing well after each one. Stir in flours, cornstarch, baking soda, and salt. Mix until just combined to avoid overmixing. Stir in chocolate chips and walnuts. Separate dough into large balls and place on lightly colored cookie sheet. They are bigger than you think! You will fit 4 cookies on one large cookie sheet. The dough makes 8 extra large cookies. Bake for 9-12 minutes or until golden brown on the top. Let them rest for at least 10 minutes to set. *Levain Bakery has stated they don't use vanilla extract in their cookies. If you would like to add vanilla extract, I would suggest adding 1 teaspoon when adding the eggs to the batter. 0 Response to "Levain Bakery Chocolate Chip Crush Cookies"